Mrs. 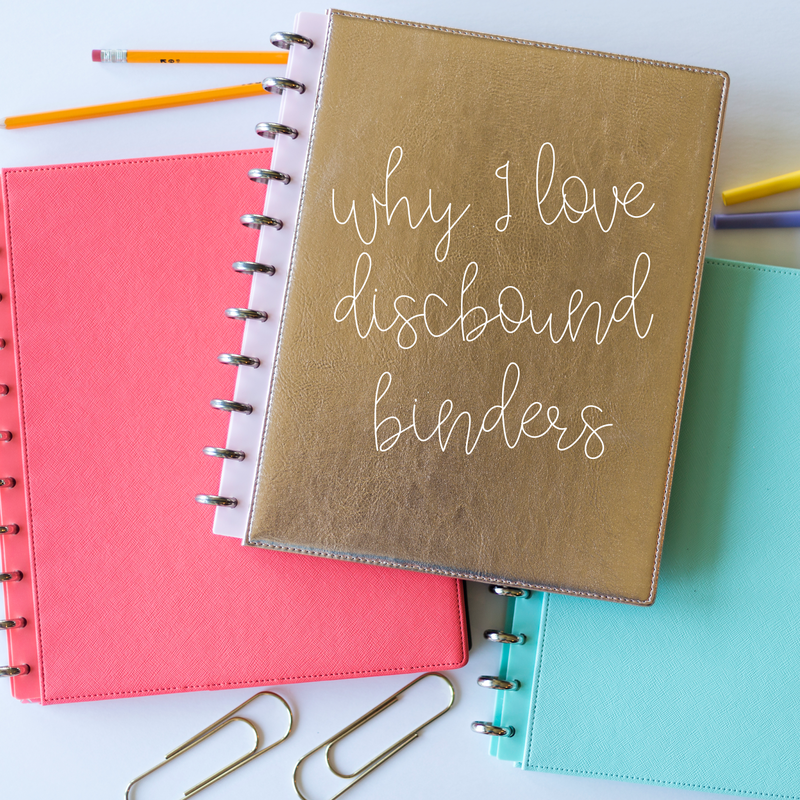 Prince and Co.: Discbound Binders are perfect for Teacher Planners! Well, its been a minute or two since I've posted. That's just how it goes around here. 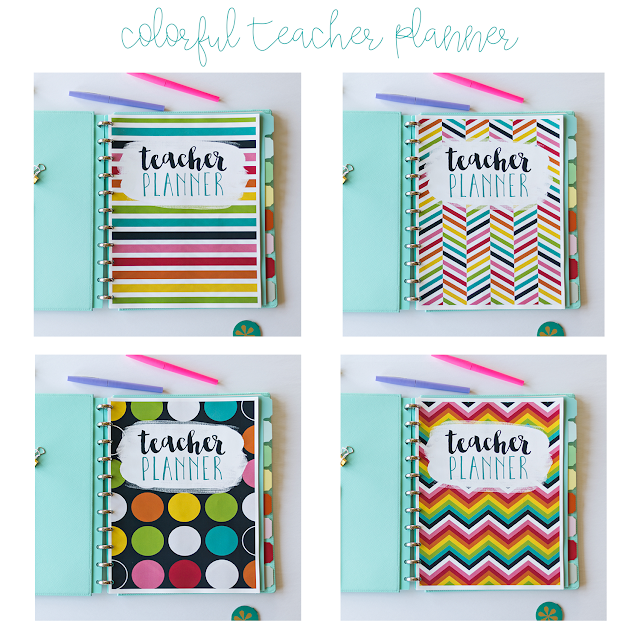 In case any of you are preparing for next school year like me I wanted to share how I set up my teacher planner. I love my planner to be bright and colorful but also to have plenty of white space on my weekly lesson planning pages. I've just never been a black and white copy kind of person and if that's what you ink savers like I understand. But, I'll pay extra for color any day. I bought the blue Martha Stewart binder from Staples four or five years ago. They last a long time (well, for a binder that's a long time to me!) and the only reason I bought a new one this year is for photography purposes. My original one was still in pretty good shape but for close up photography I wanted a crisp new one. And, there was a period of time when Staples stopped selling Martha Stewart stuff but now it's back with the original blue discbound binder as well as my new bright coral one which I love! If you are familiar with the Happy Planner those are also discbound and they have covers you can buy separately that are super cute if you want something different than the Martha Stewart ones (fyi...the discs for the Martha Stewart binders and The Happy Planner all fit interchangeably). I love the rose gold one in my picture at the beginning of this post and I know I'm going to have fun switching up the covers throughout the year since I own more than one now. I also love this red one below by The Happy Planner. You can get these at Michael's as well as a ton of fun accessories including stickers, notepads that fit in the discs, and clips! One of the main reasons I prefer discbound binders is that you can fold it all the way over in half and it makes writing in it a breeze, as opposed to a three-ring binder where the rings are big and in the way. Another reason is because I want to have all my schedules, IEPs, student info, and any other important papers in the same organizer that holds my lesson plans. You can't do that with a planner that you've bought that is already bound. I don't want to have my teacher planner and another binder of some sort to organize everything else. I just want one thing to keep track of and hold and the discbound does a great job of that I think. 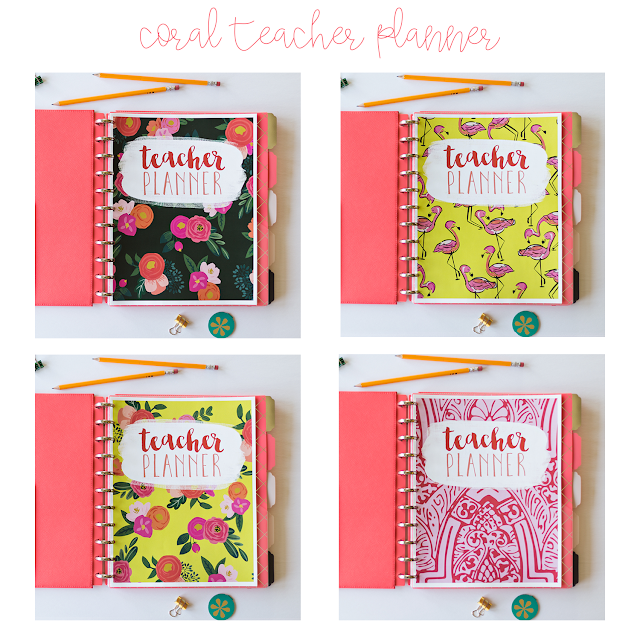 While we're talking about planners, I've also updated the teacher planners in my store and have three different versions available that I update every year for free. So once you purchase one of my planners you can download the file again every year and it will have the updated dates! Something new I changed this year was adding four different cover options for each planner. 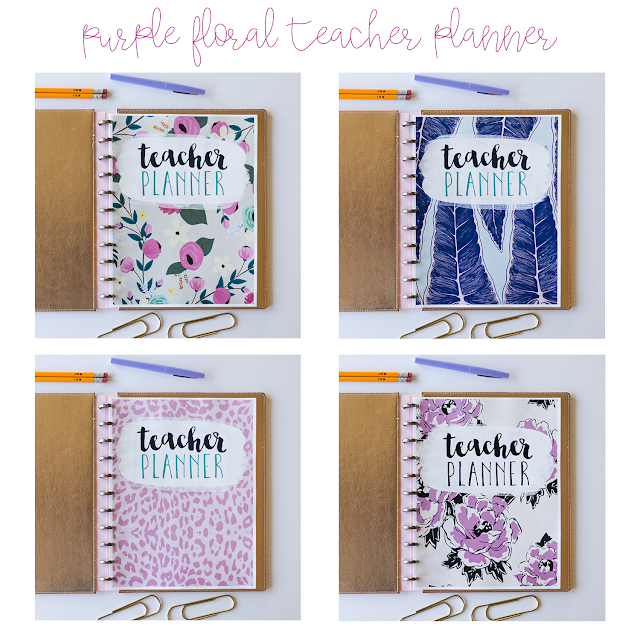 I don't know about you, but even in the course of a school year my taste can change or I might just want a different look, so these planners make it easy to change up the style a little without having to purchase an entirely different planner. (and I bet I'll be changing out my discbound covers too now that I own several!) 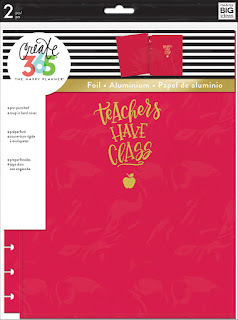 Click on any of the pictures below to go to my store to check out the specific planners...also download the previews on TpT to see more! There are so many beautiful cover. I like it! Thank you for sharing about the products. Thanks for the information. I was searching this all over the internet. 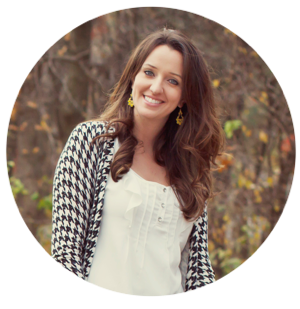 I am Saumya Giri, an independent Delhi Escorts college girl from Delhi, India. I like to travel, meet new persons, national trips with genuine clients.